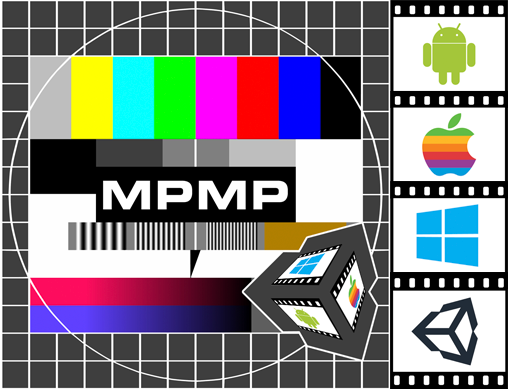 MPMP is a high performance cross platform media player for Unity3d. To get the best hardware performance on each platform it uses different media frameworks. In Unity you have only a unified c# interface you work with, so you don’t have to deal with all the platform differences. And finally you have video support in the editor! If you have a decent GPU you can play 4K videos or several full HD videos at the same time without a problem. We provide a demo version for testing.